This article contains 7 advices to fellow drivers to follow. Whether you opt to accept them or otherwise, is all up to you. On a two lane road, you stay on the right lane as you intend to turn right ahead. Suddenly, you realize an impatient driver on the left side of your vehicle, abreast you. The driver to your left has actually committed an offence. The turning area in front of your car is big enough only to accommodate one car at a time. Unless you are careful, an accident could probably occur. So it is hoped that you do not follow the antics of the driver on the left. While driving, we do sometimes drop things – our handphones perhaps, or we might want to seek some things we need. While driving, “Do Not” hold the steering with one hand, while we bend down to retrieve the “something” we seek. This action, believe me, will cause you to lose control of the vehicle. Eventually, most likely, you will crash into someone’s back. The theory behind this belief is this: Taking one’s eyes off the road, even momentarily, tends to make one lose control of a vehicle. This is in fact dangerous driving. While waiting at a junction, be patient. When the lights turn green for “go”, the car in front will likely not move. At times, some drivers are not observing the lights. This might irritate you. Please be patient. 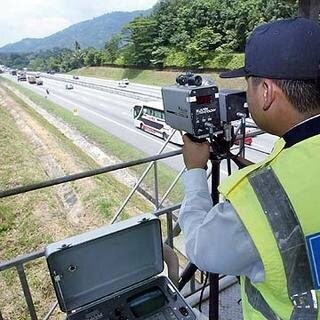 I do not know of other countries but here in Malaysia, some drivers do not like being “hooted” at. If the character in front of you happens to belong to the gangster type of group, your “horning” him might cause him to be irritated. In the end, he might disembark from his vehicle, and most likely a fight might probably ensue. So my advice is, Do Not Horn or Hoot at the vehicle in front of you. Be patient. Most drivers fail to do the above before they reverse. Nasty accidents have occurred. Even deaths, especially for children have taken place. A good and careful driver inspects the entire area surrounding his car. By taking a walk around his vehicle, he or she will be able to assess the distance and the obstacles he will encounter. Believe me, by doing so, the driver will be in a better position to reverse and eventually less unwanted mishaps will occur. 5. At the Traffic Lights, Avoid Being the First Driver to Move Off. It’s Dangerous! Most drivers “shoot off” the moment the traffic lights turn “go”. Take my advice. Do not do that. The reason is this: Traffic in front is still moving. Not all vehicles have stopped yet. Some impatient drivers, on seeing the lights turn “amber” (yellow) will in fact be accelerating full steam ahead in order to beat the yellow lights so to speak. If you are unlucky, you being the first to move off the moment your side turns “green” (go), will become his target. A 2 to 5 seconds delay will bring you a lot of good. Believe me! The correct way to stop at a junction is ideally roughly 2 meters behind the stop line at the junction. Stopping right on the line itself at the junction is not only wrong, it is very dangerous. Why you might ask? Well, stopping exactly right on the stop line, your car bumper and headlights are actually protruding onto the path of the traffic in front of you. If a large vehicle is attempting to make a corner, while trying to negotiate the corner where your car is, the driver would most probably graze or hit your car while doing so. Is he to be responsible for the unfortunate accident? Probably not! Many accidents happen at cross junctions. Drivers today are a rather impatient lot. Try to be patient. As I feel counting to 10 is a little bit extreme, I have conveniently changed it to 5 instead. But if you could count up to 10, so much for your patience. Can you do what I asked of you? Hope so! If you are patient, you’ll be able to achieve a lot of things. The road can barely fit 2 cars and then its a corner, my car was entering the corner and i saw a myvi coming to my direction so i move my car to the very left of the road (Tyre stepping on drainage border) so i thought the space shld be enough for both of us to bypass each other but ended up when both of us happen to bypass (moving) the back of the myvi kena on the right side of my car (area near to my driving side door) but the myvi’s back bumper detach on right side (just detach but not broken or pecah) and minor paint scratches on the right back door on the myvi. As for my case, i had very minor paint scratches only. Then am not sure whether the driver note down my car number or not but she had my phone number and she called me after awhile and i told her to visit workshop and let me know the repair fees. What im concerning is that what if she nvr make report after 24 hours?? Does that means that police won’t bother bout the case if she reported after 24 hours? And from how i describe the accident do you think who has the most “right” to win if case reported to police. Oh ya, the road is actually kampung road meaning it has no sign whether its one way or 2 ways so does it brings any effect to the accident? If you’re worried, make a police report. Let the police decide who’s right and or wrong. I’m always afraid of getting crowd of vehicles around me. Then I loose my concentration about controlling tools. After reading more tips in this site i am getting quite confident. Thanks for your efforts to those all learner like me who can develop their skill. Try to be calm. Hope my articles in the blog can assist you. sir…a trainee still dont know how to hold steering,turn to left or rigth.an instuctor command his student to go jalan raya and in some dangerous road .a student insisted but nothing to do coz this is a part of training.now.the student is scared.and wants to give up.who is rigth?the trainee or the instructor? First of all, I have a 42 plus years of experience. Up to now, it has yet been revealed, but being a driving school instructor is in reality my part time job only. in my first job, I was trained in psychology. Psychology is very important when trying to impart driving know how to a novice student. Regarding what you said, certainly the instructor was totally wrong. The student has been frightened out of his wits. Little wonder he intends to give up driving lessons. The instructor should be blamed completely.